Valentine’s Day. The Hallmark card holiday everyone loves to hate. But if you think this holiday is only about chocolates, flowers and fruit baskets, you’re missing out on opportunities to make a sale. Why? Because Valentine’s Day is the fourth largest spending occurrence of the year following the winter holidays, back to school and Mother’s Day. Consumers are spending increasingly more every year and its market is expanding way beyond couples in love. Use these insightful buying behavior and purchasing stats from Bing to step up your Valentine’s Day marketing strategy. Gone are the days when Valentine’s Day only appealed to couples. Romantic love isn’t the only marketing theme to focus on. Thanks to popular cultural movements like self-love and self-care, the sentimental holiday is now popular with consumers who identify as single too. Over half of American adults aren’t in a relationship, which puts them in a unique holiday campaign position. Single consumers want to celebrate themselves too—brands just need to give them a reason. Treat yo’self. If you’re mailing a Valentine’s Day campaign, make sure you dedicate some catalog real estate to single consumers. If you were to finish this search term, “Valentine’s Day gifts for…”, what would you guess? If you said, “husband” you wouldn’t be wrong. But, did you know that “friend” is searched almost an equal amount of times as “husband?” The search term phrase, “Valentine’s Day gifts for friend,” makes up 20% of this holiday’s related searches, almost as much as husband, which is searched 22%. 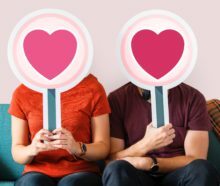 Research the most popular search terms for this lovey-dovey holiday and you’ll discover two important insights. First, what your consumers are most likely to purchase and for whom. Second, the most effective copy to use in your catalog. Include popular search terms in your page copy to trigger the most popular purchasing behavior. Okay, so we know that people buy gifts for their significant others, their spouses, classmates, teachers, coworkers, and themselves. But did you know that 19% of consumers give gifts to their pets? Valentine’s Day shoppers spend $26 on average on gifts for their pets. This is your chance to tap into the needs of this niche market who love their furry friends as much as any person in their lives. Timing is everything. Send your catalog too soon and your customers will forget about your offers by the time they’re ready to research gifts and purchase. Send your catalog too late, and, we know what happens then. So what’s that sweet window of opportunity? Nearly half of all shoppers wait until the first week of February to make their gift purchases. It’s not quite as last minute as you may have assumed. This could be due to the fact that the majority of consumers purchase their gifts online, allowing for shipping times. What’s more effective than a marketing strategy? A remarketing strategy. Turns out, shopping coupled with a remarketing strategy resulted in a conversion rate of 7.76% compared to only 1.53% without a remarketing strategy. Repurpose those existing holiday mailing lists and refine them for Valentine’s Day predictive behaviors. Pay attention to the consumers who have shown interest in the past. Send a catalog, for example, to all the consumers who opened and clicked through on your most recent email campaign. And remember, time that catalog delivery for the first week of February to maximize your efforts.